We see a lot of users searching for the legality of Jack3d, so this post is for you. Please read the disclaimer on the bottom of the page – we take no responsibility for what is written on this page, and we are not affiliated with USPLabs in any official capacity. 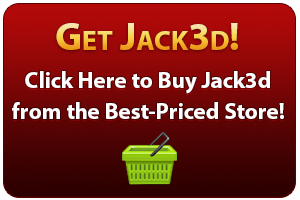 Yes, Jack3d is legal in the United States. However, it has been made illegal in the UK, Australia, New Zealand, Canada, and several countries in the EU, due to the ingredient 1,3-Dimethylamylamine HCl (DMAA). Those of you who are in those countries should consider switching to Jack3d Micro, which does not contain DMAA. The big concern in Jack3d is that it contains 1,3-Dimethylamylamine HCl. This is also known as DMAA or Germanamine. It’s naturally extracted from the geranium plant. (For more information, see the Jack3d Ingredients page). While 1,3-Dimethylamylamine HCl is completely legal in the US, it behaves like a very mild stimulant in your body. It is definitely not an amphetamine though. Rumors have been circling Internet discussion forums that Jack3d has caused false positives for amphetamines. The updated information comes from http://dmaaresearch.com/faq – First off, it is NOT an amphetamine. It doesn’t have the phenethylamine skeleton. This is a requirement for all amphetamines, and is required for their behavior. But that doesn’t necessarily mean that the lower-quality, ‘cheaper’ drug tests won’t test false positive for amphetamine at certain times. There has been some (but not much conclusive) data showing that some of these kits have experienced false positives. The good news is that if these cheaper kits do have a false positive, the end-user should immediately get a confirmation through a more advanced lab. It will no longer read as positive — and this is a standard in the drug-testing world. If that does happen, it’s not 1,3 dimethylamylamine HCL’s fault – it is the fault of the over-the-counter kits. This happens a lot, too. Nasal sprays cause false positive all the time. Of course, and we stress this all over the site… if you are being tested for DMAA, then of course, Jack3d will fail you. It does have DMAA in it, after all! However, 1,3-Dimethylamylamine HCl doesn’t convert into a amphetamine metabolite, and there are no accidentally-mixed amphetamines whatsoever in Jack3d. The product is manufactured in GMP Certified Facilities. USPLabs also follows DSHEA Compliance (Under the FDA’s Dietary Supplement Health and Education Act of 1994). If you are currently being drug-tested, we highly encourage you to speak to your sponsor about anything you ingest – including, but not limited to dietary supplements, over the counter, and prescription medications. Jack3d will NOT cause amphetamine false-positives on properly-exhibited drug tests according to USP and several doctors that have been polled. If any of the components in Jack3d are on your banned substances list and you’re being tested for them (especially 1,3-Dimethylamylamine HCl, caffeine, and creatine), then you will obviously fail those tests. So if you are playing in a sport which performs drug tests, you will want to check with your rep before taking ANY dietary supplement, including Jack3d. It’s interesting to note that the 2010-2011 NCAA banned substances list contains nearly ALL stimulants, including caffeine (when concentrations in urine exceed 15 micrograms/ml), so don’t take Jack3d anywhere near your drug tests — everyone’s bodies flush the ingredients at different rates so we cannot suggest a timing strategy. 1,3-Dimethylamylamine HCl is not mentioned anywhere in the NCAA banned substances list – just the fact that stimulants are banned. Still, Jack3d is not a good idea for strict NCAA athletes who do not know their testing schedule and metabolic rates. Additionally, if you are being tested under WADA standards then you would not pass due to the 1,3-Dimethylamylamine HCl in Jack3d. See the 2010 WADA Banned Substances list. It is best to consult with your testing administrator to see if the ingredients are allowed or not. We cannot advise you on how long you would need to be off of it. Again, as with any supplement, check with your rep before use. Michael Rodgers just failed a drugs test because he was taking jack3d. It contains methylhexaneamine which is a banned substance in athletics. Yep, that was back in August. This is my personal opinion — NOT USPLabs’, as I am not a rep of theirs nor am I affiliated with them — Michael Rodgers was an idiot. The Jack3d label CLEARLY stated that it had 1,3 Dimethylamylamine-HCl on it, which is on his banned substances list. He either needs a certified dietitian to feed every morsel of food and supplements into his mouth, or he needs to read and cross-reference every label. This is the price to pay for being an elite athlete. There’s 100 other banned substances that are legal for you and me, yet illegal for elite athletes. They need to have more vigilence in their diets. It is nobody’s fault but his own for not reading. Taking Jack3D and Oxelite Pro WILL result in a false positive for amphetamines! I recently underwent a urinalysis on Monday, April 16, 2012, which tested positive for amphetamines. Other then the medication prescribed to me by my doctor’s, which was listed in a Medical Officer Review Report, I had taken Oxyelite Pro; Jack3D; and Afterglow for a month prior to the urinalysis. After receiving my positive urinalysis on Thursday, April 19, 2012, I stopped taking Jack3D and Oxyelite after being advised by my doctor. On Tuesday, 24 April, 2012, I submitted another urinalysis and I received the negative results today. Regardless of what anyone say’s, I am living proof that these supplements can and will cause a false positive for amphetamines. Before anyone tries to “assassinate” my character, I worked as a Drug Investigator for the 48th Military Police Detachment, Criminal Investigation Command, Fort Carson for 3 years and I am a first year law student. I am not writing this to discredit these supplements, I just hope that I can fully educate and inform others! Thank you for the quality comment. Alot of rumors floating around that jacked is being pulled from the market soon, really hope these rumors are false. Any clarification? We will keep this page updated. The FDA is considering banning DMAA, but right now they are in the phase where USPLabs and other manufacturers have to prove that it is safe. USPLabs has several studies that shows it’s safe when used properly, and seems to be fighting this all the way. So for now, it’s still on the shelves, but we are not sure what will happen next and will update this page. Last year I had to take a drug test to be hired on with a company. I had been taking Jack3d up to the drug test and had heard it might show up so I was worried. Fortunately I passed the test. I don’t know the specific results but at least for a non-sports related drug test it doesn’t seem to be a problem. You should discuss this with your governing body. They have likely run into users of Jack3d and DMAA before. It is highly unlikely. Hi, if i send jack3d over to Singapore from the UK, It it currently pass through customs? Hi, I did some research, and couldn’t see if anything was on the banned customs list or not. You should contact the store that has the best shipping to Singapore and ask if they know. How long will i be able to buy Jack3d with DMAA? forever” is the true answer. Baloney! I was tested the day after i did 3 scoops of jack3d and came up negative. Is Jacked 3d illegal when testing for MMA and boxing in California? Not sure – You’ll need to check with your drug-testing coordinator. I have a drug screening test coming up , for a law enforcement agency. I’ve been taking jack3d for a month. Will it reslt positive? You need to find out if any of the ingredients are banned. I am not sure what kind of things are banned. Talk to your governing body. I cannot believe my favorite workout supplement is banned, now I have to do some more searching to find another one that will hopefully be as good or close to Jack 3d. Damn government, stressing me out. Jack 3d is awesome! Sounds like you’re in Australia. If so, sorry about that! Jack3d Micro will be available to you SUPER soon! As always, first speak with your governing body. Full disclosure is key. It really depends on the type of test they do. Some of the “cheaper” urine kits have registered false positives for amphetamines. This is nothing new, even some nasal sprays can do this with those cheaper kits. If that happens, what you have to do is then get an immediate re-test at a reputable lab. There is nothing illegal going on here, just bad tests. But it is something to consider.